Leave DC Dulles at 11:30 AM via JetBlue Flight 305 (Airbus A-320). Arrives Long Beach at 1.50 PM (2,308 miles). After breakfast and a welcome orientation, today's sightseeing includes the exquisite Forbidden City's Imperial Palace After lunch, see the marvelous architecture at the Summer Palace and Tian An Men Square. 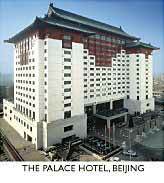 Tonight, attend a welcome dinner party featuring delicious Beijing Duck. This morning tour the ornate 15th-century Temple of Heaven, where emperors prayed for good harvests and heavenly blessings. Then proceed to a pearl workshop to see pearl jewelry being made. After lunch, ride in a pedicab to Gu Lau (Drum Tower) and enjoy the city views. Then travel Beijing's ancient narrow streets, known as Hutongs again via old-fashioned pedicab. Visit Shiheyuan (the old quadrangles) and learn about life in the city during the reign of Kublai Khan. Stroll along the Hutongs, stop for tea at a typical courtyard-style home. Visit the Prince Gong Garden. After dinner this evening, enjoy a remarkable Beijing Opera, including a discussion and demonstration of the elaborate makeup and face-painting techniques used by the performers. Fly to Shanghai, China's bustling cosmopolitan center of business and commerce. Visit the Jade Buddha Temple. 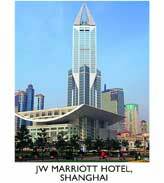 Check in to the deluxe JW Marriott Hotel. This evening, dinner is followed by an amazing acrobatic show. Morning at leisure in Shanghai. Later, fly to Yichang. 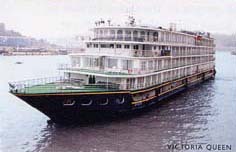 Met and escorted to San Dou Ping to see the Three Gorges Dam Project and then transfer to Maoping where your Yangtze River adventure starts as you board the Victoria Queen. 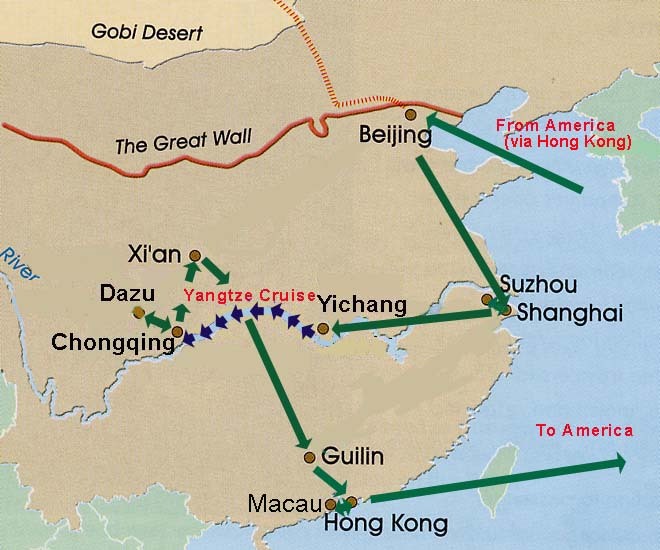 Sail through Xiling Gorge, longest of the famed Three Gorges. 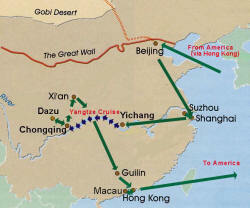 Tour brochure Yangtze cruise map and photos. Marvel at Wu Gorge's deep zigzagging valley. Take an excursion on Shennong Stream followed by the Lesser Gorges. Pass through Qutang Gorge, walled with steep mossy cliffs that crowd the sky. Known as the "Pearl of the Yangtze," visit the magnificent 12-story wooden pagoda at scenic Shi Baozhai* today. Morning motorcoach to Dazu, famed for its Buddhist archeological sites. Lunch in Dazu; sightseeing includes monumental Buddhist sculptures at Baodingshan. Dazu tour brochure photos Return to Chongqing and visit flower market. 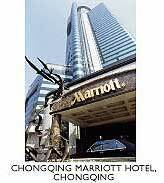 Dinner and overnight at the Chongqing Marriott Hotel. Visit a Chongqing elementary school. Fly to Xi'an. Visit the Shaanxi Provincial Museum. 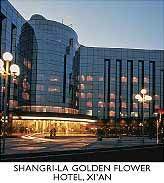 Check into the deluxe Shangri-La Golden Flower Hotel for dinner and overnight. MEALS: American Breakfast, Lunch, Buffet Dinner .. . MEALS: American Breakfast, Lunch, Dinner Show, . . 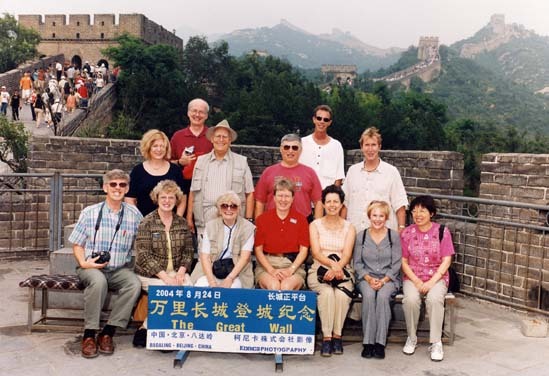 This morning, visit the city walls and then tour the museum at the recently discovered Tomb of Han Jing Di, displaying statues and relics of mounted honor guards, warriors, chariots, weapons and tools. Later, fly on to Guilin, at the heart of a magnificent landscape. 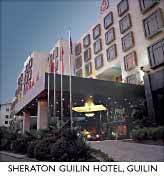 Check into the Sheraton Guilin Hotel. MEALS: American Breakfast, Lunch, Dinner in Hotel. This morning, visit a Chinese kindergarten; later see dramatic rock formations at Fu Bo Hill and Reed Flute Cave. A change of pace begins today as you fly to dynamic Hong Kong. 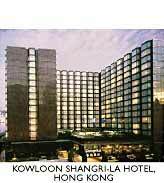 Check in to the deluxe Kowloon Shangri-La Hotel. Today, the tour of Hong Kong goes up to Victoria Peak for spectacular views of the city and its harbor. Later, Aberdeen's sampan community is visited followed by Repulse Bay and a tour through Stanley Market. Visit Macau, tour the former Portuguese colony and lunch at the Hotel Lisboa.